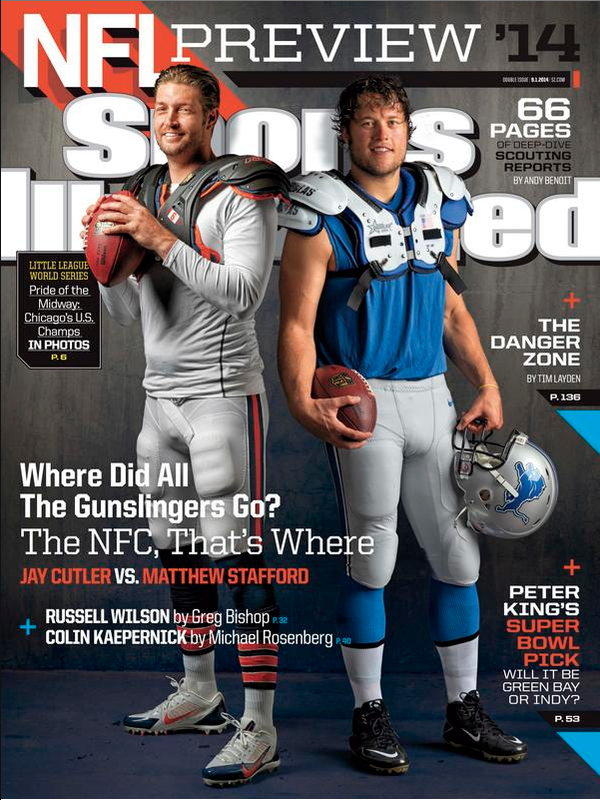 It’s only a regional cover, but at least Jay can now say he’s competing with his wife for magazine covers. Also, sorry for the lack of posts so far this week, but with the college football season getting underway I’ve been pretty busy with work. It won’t be like this all fall and winter, but I need to get back in game shape. Also, something needs to happen in Chicago sports that I feel like writing about. That helps too. This entry was posted in Chicago Bears and tagged Jay Cutler by Tom Fornelli. Bookmark the permalink.